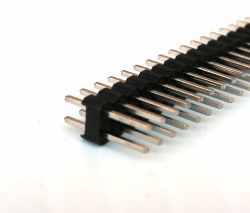 This pin header has 40 pin in pair. Total 80 pins.Pin pitch is 0.1' or 2.54mm. It can be used on any connection.